Made some 3D sketches based on a couple of my creature concepts. First off, that recent Helicoprion. 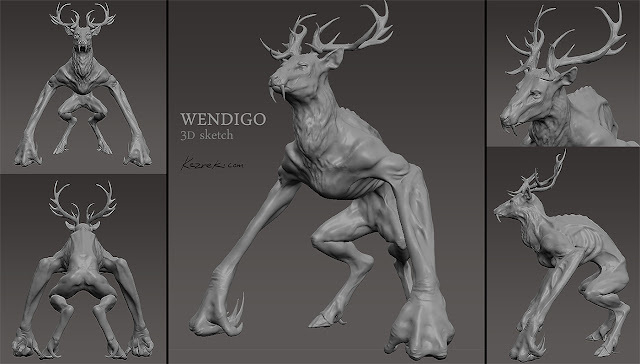 But that proved to be too simple so I also tackled the Wendigo I'd drawn a while back.. I'd like to add more details, but my computer cannot handle it. Perhaps I'll get an updated graphics card and really push these things to the limit.